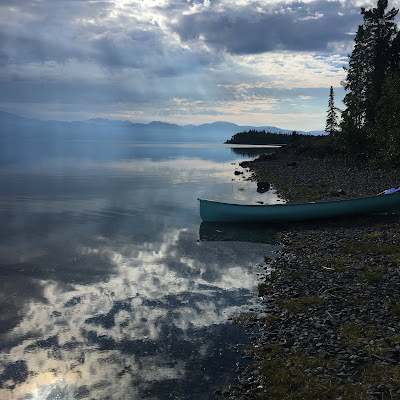 I have contemplated for months how to start writing about my experiences in the Canadian North as I attended the Canadian Wilderness Artist Residency. 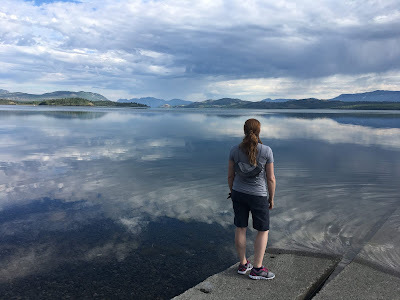 I still am a bit lost as to how to share it, how can I possibly do the experience justice in just a few short paragraphs within these blog posts. Well, something in me is compelling me to try to articulate it now. Enough time has passed to transform the experience into reflections. There were so many moments that I think about now that fuel my present living, moments that serve as metaphors filling in gaps of understanding were only a river memory can bring clarity. I am writing in many ways to hold onto this space for just a little bit longer, but also in an effort to understand who I am. This space has a weight to it that stays with you and I am wanting to understand that more. I invite you into this reflective journey perhaps for accountability, but also to extend the gift of courage, strength and adventure. I had the privilege of traveling with many photographers and artist one of whom snapped this photo with my phone on the edge of Lake Laberge. I am just unsure which talented individual did it, but as photos are posted I will be sure to give credit for the images where it is due. This photo I took captures the smoke that hung over the lake, filtering the sunshine making the atmosphere a bit ominous. The lone canoe perhaps serves as a foreshadow of the many introspective moment this trip was about to offer.